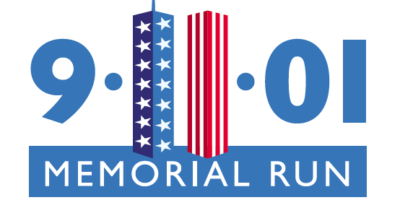 Our September FREE 5K Fun Run will take place on Sunday, September 11, 2011. A day that will live in infamy, and it is now 15 years since the attack on our nation. We hope you will join us in your best red, white and blue PATRIOTIC gear and come out for what is sure to be a great event. As always, these events are free to participants. What we do ask, is that you bring a donation to a local charity as your ‘participation fee’. This month we will be collecting non-perishable food items to distribute to our local food pantries. On-site registration will begin at the shop at 7:30am. We encourage everyone to register ahead of time through this LINK. Please try and get to the shop by 8:30am to pick up your bib and sign the liability waiver. Also, please plan to park at St. Michaels Elementary School then make the short walk down to the shop for the race start. The race will begin at 9:00am and utilize most of the St. Michaels Nature Trail. Not the fastest runner? No problem! Our races are prediction races to keep them FUN!! All you have to do to be declared a winner is guess your finish time by the closest margin. Anyone within 10 seconds of their actual time will declared a winner! Congratulations to our EIGHT winners, who accurately guessed their finish times within 10 seconds (Tina Ryan was ONE SECOND off!!!). Dominic Szwaja (10 seconds), Rachel Layer (7 seconds), Cameron McCauley (10 seconds), Josh Poore (9 seconds), Sierra Correa (6 seconds), Leila Robinson (4 seconds), Sarah Woolfolk (9 seconds), and Tina Ryan (ONE SECOND!!). Laura will be reaching out to each of the winners for a small token of AWESOMENESS from us at TriCycle and Run!! Saturday, November 28th, 2015 at 9am, come on down to TriCycle and Run (929 S. Talbot Street, St Michaels, MD) and celebrate Small Business Saturday with us and our local business friends. Registration will commence at 8am and all you pay is a canned food item for our local food banks. Have more than one can, bring it all!! The holidays tax these local food banks and we want to fill them all up for the Holiday Season. Our “Guess Your Finish Time” format has returned. It doesn’t matter who crosses the finish line first, it only matters if you are able to estimate your finish time with 10 seconds. Do so and win a prize!!! Great deals!! Food!! FUN!! Come down and work off some of those holiday meals. Stop by here first, before traveling in to St Michaels to do your Small Business shopping for the holiday season. Like and SHARE!!! Remember your entry fee is a canned good for a local food bank!